confused and would like to see you live, not cooking mind you, but singing. I would love to see you at the Rodeo or the Sam Houston Racepark with hundreds of others singing in unison, both drunk and sober, to She’s In Love With the Boy, and plenty more. Bottom line: you are a legend. However, you need to tour more. More specifically – please come to Houston sometime soon. I have come to the conclusion that the city of Houston and surrounding areas of Galveston and Lake Jackson Freeport needs a music festival. Yes I know we have the Free Press Summer Fest and all and that is great. I am in no way bashing them. However, I think we need something much bigger. When I say bigger, as far as festivals go, I mean something on the scale of the original Woodstock festival and Us Festivals. One thing that often plauges Houston during the summer is the heat. Every year we have 100% humidity. This past year, we had a record-breaking triple digit summer that brought on a drought. However, outdoor concerts and venues, despite the heat, are still very popular. Every year, Free Press Summerfest brings in hordes of crowds from all over the country. Also, there are many concerts at the Cynthia Woods Mitchell Pavillion, as well as free concerts at places like Miller Outdoor Theater, Eleanor Tinsley Park and Discovery Green. Also, the beach is quite nice to go to during the summer. So what am I proposing? A festival on or near the beach. It would be called “Beachfest” and it would take place on or near the beaches of Galveston or Lake Jackson Freeport. 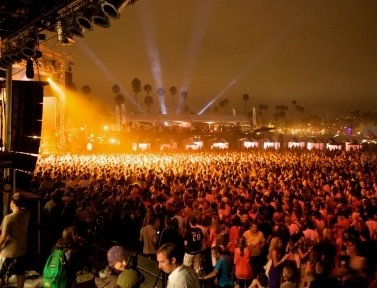 It would be like the Us Festival meets Woodstock at East Beach – the largest beach in Galveston. It would have specified days for each act – much like the Us Festival did. It would take place either at the very beginning of summer or near Labor day over the course of 3 days. This would be a day for up and comers. One day, they shall be big – least I think they will! It would also include indie bands and local talent too. On this day, we would have obscure rock bands that were once hits but aren’t anymore. Kinda like a mini “80’s Rewind” Festival – or 90’s. Also we would feature up and comers too. This would have to be sponsored by 93.7 the Arrow. Let’s make Houston one hard-rockin’ place again! 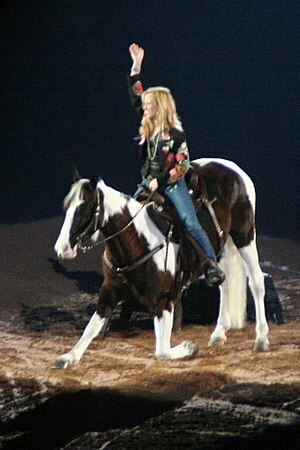 However we wonder, who is going to be at the next Superbowl halftime show? Tell us who you want! In the mid-80’s rocker Stevie Nicks was at the top of her game with her multiplatinum-selling albums (1981’s Bella Donna & 1983’s The Wild Heart). 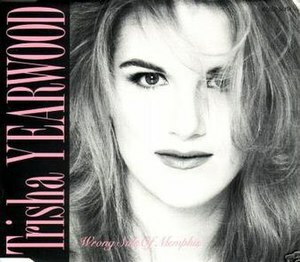 However, by 1986, her “game” was being threatened by a deadly cocaine habit which greatly affected her then-latest album, Rock A Little, and its subsequent tour. 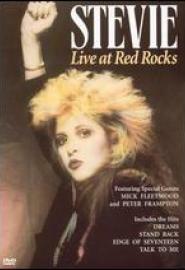 Her 1986 concert, Stevie Nicks: Live At Red Rocks chronicles her concert at the beautiful Red Rocks Ampitheater tucked away inside the Colorado Rocky Mountains in Denver. While this dvd is far from Nicks’ worst performance, it’s not up to par with her post-drugs performances such as her 2009 dvd: Live in Chicago. Nevertheless, there are some redeemable parts of this concert. For example, she opens the show with the Bella Donna-era classic, Outside the Rain with a nice fade-into her Fleetwood Mac classic Dreams. However, one of the best parts of the concert is when she performs Talk To Me from 1985’s Rock A Little. Her vocals sound amazing just as they do on the album. One of the cutest moments of the film is after Has Anyone Ever Written Anything For You. Someone in the audience releases a white-winged dove. The dove is then handed to Nicks (who tries to get the bird to speak into the mic) and she tries to release it, but the bird doesn’t leave. Overall, it’s an okay dvd due to the fact that it contains rarer songs that Nicks nowadays doesn’t perform live. However, it shows her in the worst part of her drug-fueled days. Fortunately after this tour she checked into rehab and has been off cocaine ever since. Tom Petty and the Heartbreakers Announce 2012 Tour | Music News | Rolling Stone. Yes yes yes yes yes! It looks like 2012-2013 are going to have some pretty amazing concerts because Tom Petty has announced that he and the Heartbreakers will indeed be touring in 2012. The Wild Heart wonders who he will be bringing along with him. Perhaps old pal Stevie Nicks? Sheryl Crow? Maybe he will bring an up and-comer like Foster the People?